Digital agency AKQA has purchased a majority stake in two companies set up by Barber and Osgerby: Universal Design Studio and Map. Both interior-design office Universal Design Studio and design consultancy Map will remain distinct entities following the acquisition. 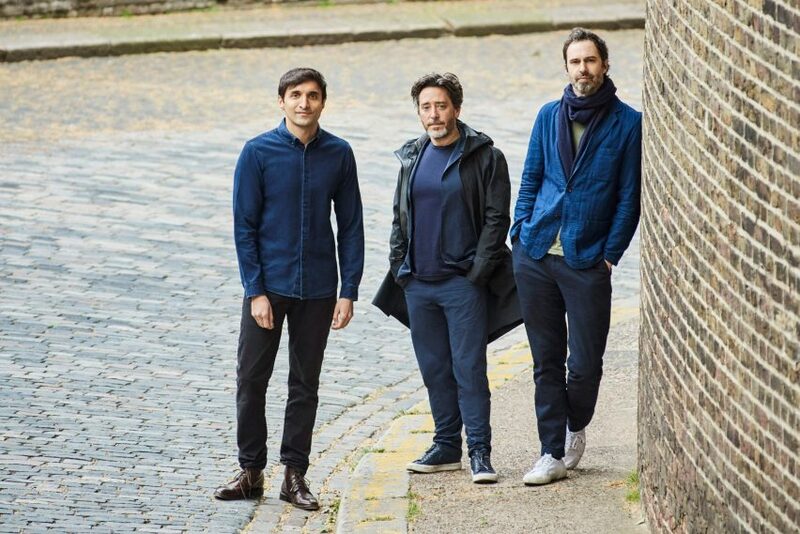 Edward Barber and Jay Osgerby, who are among the UK's best-known designers, will continue to be directors of the studios and provide strategic oversight. The duo set up Universal Design Studio in 2001, 15 years after launching their eponymous design studio, to specialise in architecture and interior design. They then established Map, or Map Project Office, in 2012 to offer industrial design consultancy. AKQA, which was founded by Ajaz Ahmed in 1994, plans to position itself alongside the two studios, to create a multi-disciplinary organisation for the digital age. "Strategically positioning the trio of interdisciplinary award-winning design practices in an innovative partnership, the studios will now offer integrated, as well as existing services enhanced by their combined expertise and approach to designing for the digital age," said a statement from AKQA. "In recognition that built and digital environments are no longer conceived in isolation of one another, and with continued advancements in materials science, data science and cognitive science, the creative practices are uniquely positioned to design connected touchpoints across physical and digital realms through the entire customer ecosystem," it said. Barber and Osgerby ranked at 351 on Dezeen Hot List 2017. The studio, which won the London Design Medal in 2015, designed the London 2012 Olympic Torch and the popular Tip Ton chair for Vitra. Following the acquisition, Universal Design Studio and Map will move out of Barber and Osgerby's office in London's Shoreditch, into AKQA's headquarters in nearby Smithfield. A dedicated research lab will be established in the building to allow the three studios to collaborate. "We are delighted to build a community that shares our ethos of collaboration and innovation," said Barber and Osgerby. "So much of our lives has been transformed by digital in recent times and this new partnership with AKQA will give us the opportunity to redefine the interface between architecture, product and experience design. For us, this represents the future." Recent projects by Universal Design Studio include a temporary town for Frieze New York and the art-filled At Six hotel in Stockholm. Map's portfolio includes a digital compass for cyclists and an Internet of Things toolkit.